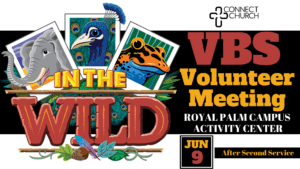 All volunteers for both the Royal Palm campus as well as the Acreage campus, please attend this volunteer meeting to go over important VBS procedures. All volunteers for the Royal Palm campus, please attend this important mandatory volunteer meeting in order to go over the positions you will be serving in as well as additional procedures and details for the week of VBS. See you there! Thank you for serving the Lord along side of us. 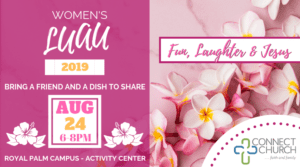 Grab your grass skirt, your Hawaiian top, and your sweet personality and join us for a time of fun, laughter and Jesus. Bring a covered dish to share and a friend! Aloha!